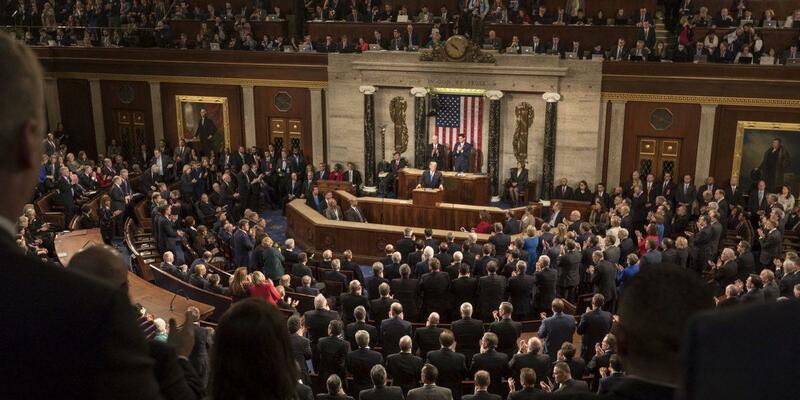 Article II, Section 3 of the Constitution states: “He shall from time to time give to Congress information of the State of the Union and recommend to their Consideration such measures as he shall judge necessary and expedient.” The State of the Union address is an almost annual spectacle for politicos and policy wonks in Washington, D.C. and around the country. A president gives a report on the State of the Union to the House and Senate and presents his or her policy agenda for the year. Talking heads spend the immediate time after the speech parsing through promises and critiquing the delivery of the speech, as well as the number of times a president received applause or an ovation. Let’s put the content of Speaker Pelosi’s letter aside. Some may be wondering how the Speaker of the House can prevent a president from giving a speech to a joint session, especially one as purportedly important as the State of the Union. Fans of the television drama The West Wing may recall that this was mentioned in the first season, although the. “We haven’t been invited yet,” Sam Seaborn tells Toby Ziegler. “Technically, the Speaker of the House invites the President to deliver the State of the Union.” The realization creates an urgency to ensure that the invitation is extended. Now, although the Constitution requires the president to give a report on the state of the union, it says nothing of how often or the format. The frequency of the speech has been established by tradition. President George Washington delivered the first address in January 1790 and did so annually when he was in office, establishing the precedent of an annual report. President Washington and President John Adams delivered the address before a joint session. This precedent, however, didn’t stick. President Thomas Jefferson chose to submit the report in writing, establishing a precedent that would last for more than a century. While he was a brilliant writer, historians have remarked that Jefferson wasn’t a very good public speaker, which is, they surmise, why he chose to deliver the report in writing. Jefferson may have been cautious of the president being viewed as a king, as well as other reasons. Jefferson’s format was followed until 1913, singularly the worst year for American liberty, when President Woodrow Wilson delivered the report to a joint session of Congress. After Wilson, only President Herbert Hoover opted to follow Jefferson, although President Warren Harding delivered the report twice before Congress and President Calvin Coolidge delivered it once. Since 1934, the has been delivered by a president before a joint session. President Trump could simply fulfill his constitutional obligation by submitting a written report and give a speech in the Oval Office or the East Room of the White House. Given the current circumstances of a government shutdown over border security, he could even give a speech at the border or even before a joint session of a state legislature of a border state, if, of course, the state legislature is willing to accommodate. In his book, The Cult of the Presidency, Gene Healy explained, “The Framers had seen the State of the Union as a means of communicating useful information to the legislature; but modern presidents, responding to and shaping public expectations, made it yet another means of direct communication with the American people.” Indeed, every president makes promises, calls for reforms, and conveys lofty goals to viewers, including taking action on their own in an effort to give the impression that he or she is “doing something” to solve a perceived national problem. Unfortunately, the power of the presidency has grown because Congress has ceded more power to it, allowing agencies under the executive branch to write regulations with the same force and effect as laws passed by the legislative branch. The State of the Union isn’t the reason for big government or the rise of the regulatory state. Over the past several decades, especially since the Great Depression, Americans have desired to have a parent-like figure who they believe is looking out for them or feels their pain or is fighting back against some special interest boogyman. The State of the Union is simply another means for presidents to present another facade for them to present that image. Of course, those who believe in limited government should embrace the notion of a report being delivered in only written form, avoiding the pomp and circumstance of a formal speech, even if it’s only temporary. After all, far too much importance is placed on the presidency. The Constitution doesn’t put one branch of the federal government over the other. The three branches are meant to be equal, with each serving as a check and balance other the others. Subscribers of limited government philosophies should be working toward that end and spend far less time concerned about what the occupant of the Oval Office, no matter which party holds it, and more time paying attention to Congress and what’s happening in their state legislatures.